If you’re looking to get into the world of so-called no-risk betting, or if you’ve already started but you’re looking to take it to the next level, you’ll probably want to look at having a good computer setup. One of the main ways that many people can improve their efficiency and profitability is to take their bets from a mobile or tablet, or perhaps some smaller laptops, and move them to a desktop computer. Why is it important to find the best computer for matched betting? This is pretty simple; your profits should rise substantially as a result of being more efficient. Or, you could make the same profits in much less time, giving you more time to spend away from the computer screens (should you want to!). 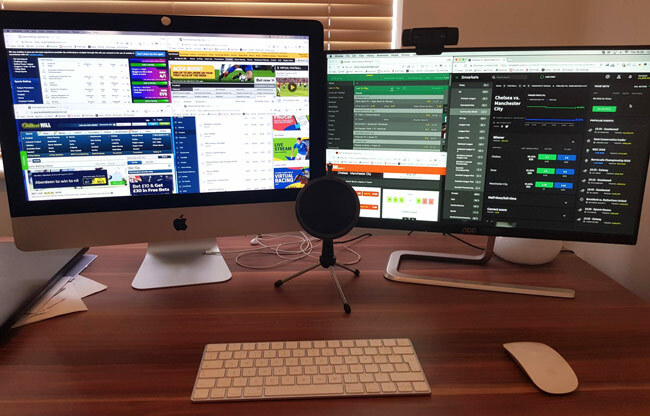 Let’s get stuck in and look at the best computer setups for matched betting and the types of things you should be looking at and considering. 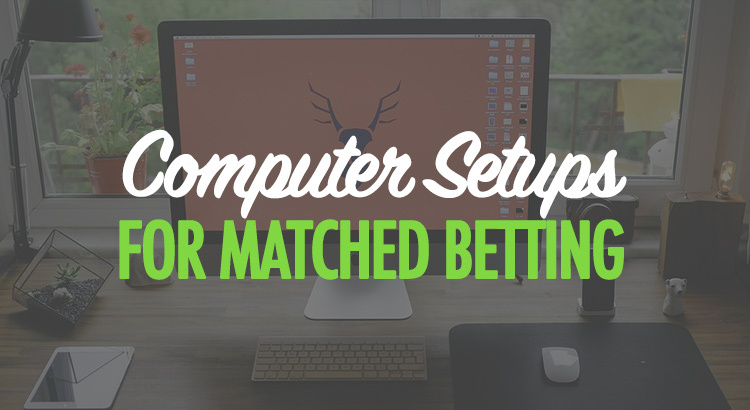 At the end of the post, I’ll also show you my current matched betting setup. Before we show you the best, cheap desktops for the previously mentioned needs, let’s look at something that will accompany your computer for maximum betting success. One of the best steps you can take to make your work, free time and overall user experience that much more enjoyable is to get an extra monitor. With two monitors you can finish your work faster, as you won’t need to open different tabs or programs and switch between them as often. Research suggests that office workers get an efficiency boost of around 35% by using two monitors rather than one. I believe that matched bettors typically receive an even higher boost due to the nature of the tasks we have at hand; we almost always need more than one window open. For example, an oddsmatcher, a bookmaker and an exchange (at minimum). Two monitors speeds the process of laying a bet up by probably 50% on average. By saving time in bet placement and other places too, as a result of the dual monitor benefits, you’re going to be saving a load of time each day; hours saved a week and potentially weeks of time every year. This monitor is fairly large at 21.5 inches, but is high quality and will allow you to get a lot of information up on screen at one time; perfect if you’re trading or in-play arbing. You can check the price of it here. 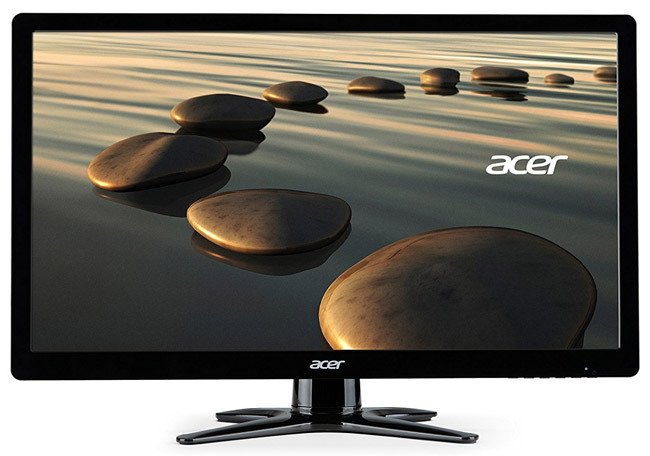 The Acer K202HQL is a good choice for someone looking for something a little more budget-friendly. It’s got a 19.5″ screen which is easily large enough to give you massive efficiency improvements when betting, using oddsmatchers, checking offer instructions and more. 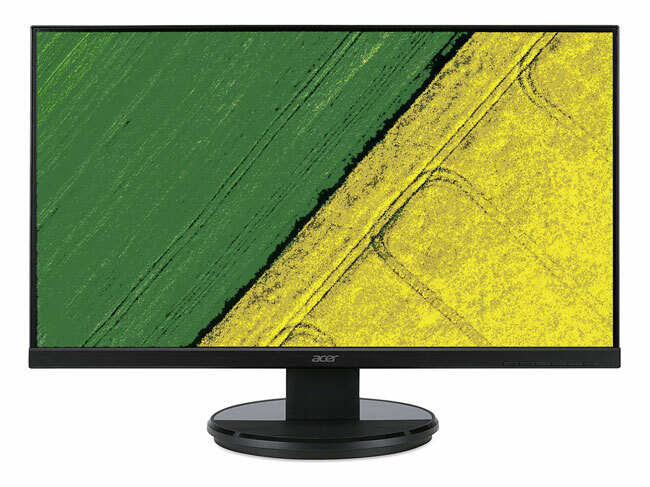 There are plenty of other monitors that are great choices, but because of the fact new screens are regularly released (and some are discontinued), it’s hard to keep an up-to-date list. It’s worth checking out the monitors on Amazon here, and you can be confident that the well-reviewed items should be suitable for the task. Before we dive into the world of PCs, you have to figure out what your desktop will serve you for. That’s the first step that you need to take before buying your personal computer. Generally speaking, we don’t need highly powerful computers with amazing specs for betting on. This is because you won’t need huge amounts of computer power for the majority of betting related tasks. However, we do need something capable of powering two monitors effectively, running web-based software (like oddsmatchers and other tools) and casino games – this is where the majority of computer power will be required. Luckily for you, we’ve already found you some good options. In order to help you make the best decision for you, we’re suggesting a few different choices below. We’re now going to take a look at some of the options available that fit the above criteria and are available for a reasonable price. It’s also worth noting that you can pick up many great deals on Amazon for refurbished computers (check them out here) but because the refurbished computers that are available tend to change regularly, it makes it hard for us to include them in this post. The options below are all below £600, but you can pick up refurbished desktop computers that are more than suitable for matched betting for below £300. 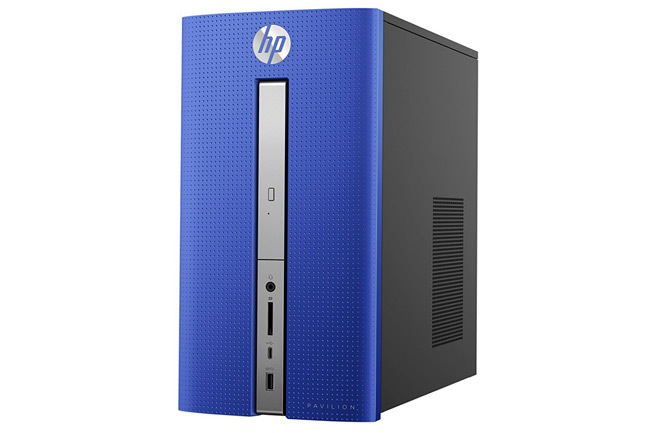 Available in blue (shown above), silver and black, the HP Pavilion 570-p051na is more than good enough to allow you to do everything you need in terms of matched betting. 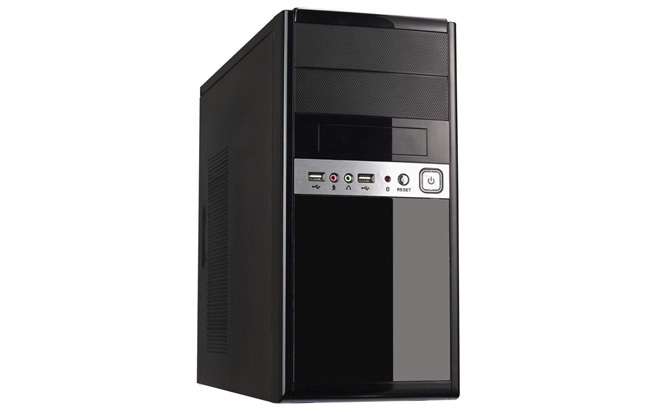 Its Intel i5 processor with 8GB of RAM will allow you to smoothly run even the most intensive of casino games whilst still allowing you to have multiple other windows open for your other betting activities. 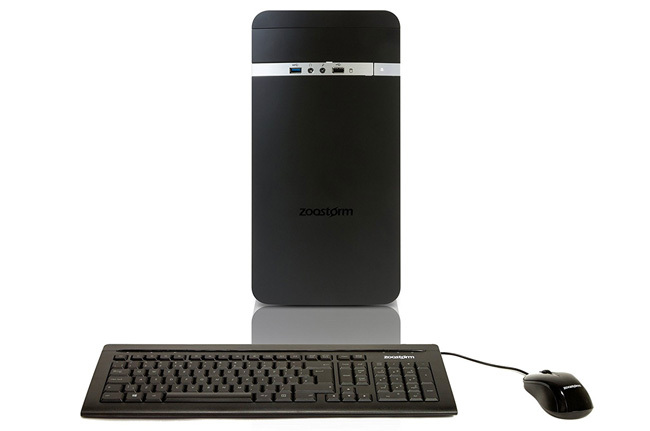 This one comes with a 1TB hard disk drive, meaning you’ll have plenty of storage space. This could be ideal if you want to use the computer for other activities, storing images and videos, or perhaps if you want to run virtual machines on the system. However, all of that storage space does make it come at a slightly premium price compared to some of the other options you can find (both in this post and if you shop around). You can check out the price of it here. There are a variety of different options that you can choose from in the Zoostorm Evolve range, meaning the total price varies massively. We recommend looking at the models that meet the minimum criteria and your budget. The 8GB, 1TB option would be a popular choice in the matched betting and sports trading industry due to it being very cost-effective for the specs it provides. Whilst this is intended to be a ‘gaming’ computer, this is ideal for matched betting; running casino games and various pieces of betting-related software. Based on the specs, it’s more than adequate for your needs. Because it’s made by a lesser-known manufacturer, it means you also benefit from not paying for the premium price that comes with many brands due to their reputation. However, many companies have good reputations for a reason, so this is also worth factoring into your decision. We could list many, many other computers. It’s really not that hard to find something that meets the minimum requirements that are recommended. It’s important to shop around, find something you like that is within your budget. Try to look at reviews and make sure that other genuine shoppers have opinions on the product that could help you out. I would not recommend my current setup to people, but I figured it would be worth sharing as I get people asking. I currently use an iMac, rather than a Windows desktop computer. I bought this in my first year of matched betting with my profits from Cheltenham festival. I thought it would be a good investment because I wanted to do videos and editing on top of betting. It turns out it wasn’t a great decision, I should have gone with a suitably priced desktop that would have offered significantly more powerful specs without the Apple price tag. What can I say? I wasn’t clued up, evidently. This is the iMac I currently use (Apple iMac with Retina 4K Core I5 3.4 GHz 21.5″) and the second monitor I use is this one by AOC. I’m looking to start my way in matched betting and hopefully progress through reload offers into sports betting. I’m appreciating your articles and reviews greatly- thank you!- but I note you don’t seem to recommend laptops. And you appear to recommend using Windows desktop with 2 large monitors? I divide my time between Wales and London – almost of age to be retired from ‘regular job’ now- and I use a Macbook. I notice also that Geek Toys, which you recommend, doesn’t seem to have a Mac equivalent? I see that you use a Mac computer. What do you use? The ideal setup would be a computer with two monitors but that’s because I’m often doing things frantically and I usually want as much information as I can get. Laptops are definitely suitable. Many people manage by placing all of their bets on mobile, but I found that just a bit too fiddly and inefficient for my personal taste. Good luck on your betting journey! So ‘Racing Traders’ is ‘Geek Toys’ equivalent? They’re different products from different companies but both do the same job, with different features and whatnot.